§ At Fashid Wholesasle you will find catalogues of all the major and standard women ethnic wear (sarees, salwar suits, lehengas, kurtis, gowns, leggings) manufacturers from Surat. § Brands like Manthan, Yadu nandan Fashion, Sangrela, Sasya Designer, Ruchi Sarees, Lifestyle, Sejal, Eternal, Bharti Sarees, Krishriyaa Fashion,Rudra Fashion, Kalash creations, Micro Silk Mills, Shivam Prints Sweety Fashion, Riddhi Siddhi Fashion, Prathna Sarees, Amurat Varsha Creation (AVC), Poonam Designer, Nakkashi, Vishnu Sarees, LT Fabrics, Shiv Sandhya, A Plus Designer, Panchhi Fashion, Rashmi Prints, Sanskar Sarees, Sanskruti Silk Mills, Apple, Sajawat Creation, Leo Fashions, Sahiba Fabrics, Vasanche, Abhishek Designer, Meera Fashions, Varsiddhi Fashions, Arihant Designer, Kessi fabrics, Kesari Trendz, Only Trendz, Madam Suits, Rama Fashions, Deepsy Suits, Amurat Plus Shree Fabs, Meera Trendz, Madhav International, Ashirwad Creation, Dee Pee Fashion, Tanishk Fashion, Indian Women, Your Choice, Swarn, Pankh, Kayce Trendz are listed on our website. § Serving our valuable customers with proper quality and proper price is our main motto. 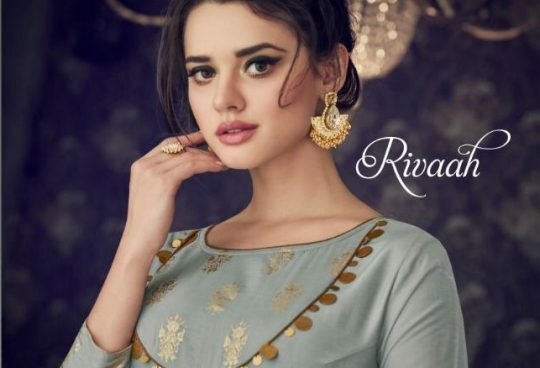 We have catalogues at company price ( wholesale rate ) of sarees, salwar suits, lehengas, kurtis, gowns, leggings and we deliver all over the world within days with the help of our shipping partners Arihant, Atlantis, Dtdc, FedEx etc. § You will be updated with the latest catalogues be it printed, digital print, embroidered, anarkali, Patiala, floor length, straight dresses, as soon as the brands launch them.